Garry Adelman is the author of numerous Gettysburg books, articles, and other media. 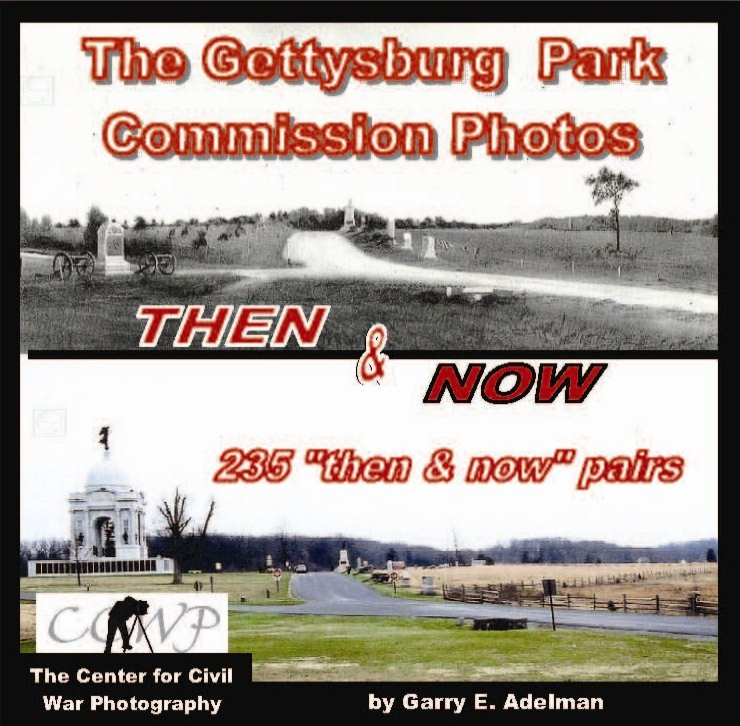 Along with Tom Danninger and Barry Martin, he co-created the CD, The Gettysburg Park Commission Photos: Then & Now. For eight years, Garry has worked full time as a senior historian at History Associates in Rockville, Maryland. 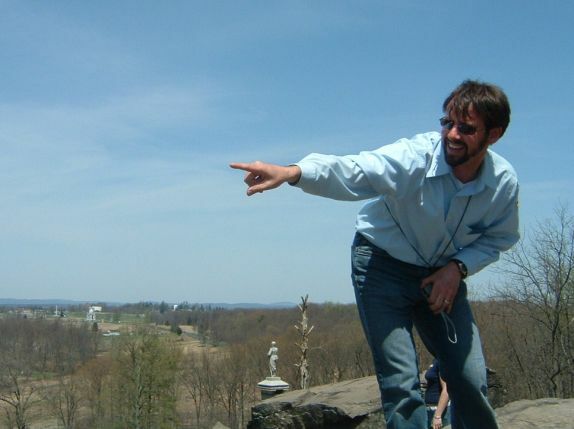 In April 2010, Garry will become the Civil War Preservation Trust’s full time Director of History and Education. This view was taken on Little Round Top facing north, sometime in the recent past. Gettysburg Licensed Battlefield Guide Garry Adelman, along with colleagues Tom Danninger and Barry Martin, systematically located the camera positions of the 237 photographs included in the Annual Reports of the Gettysburg National Military Park Commission, 1893-1904. 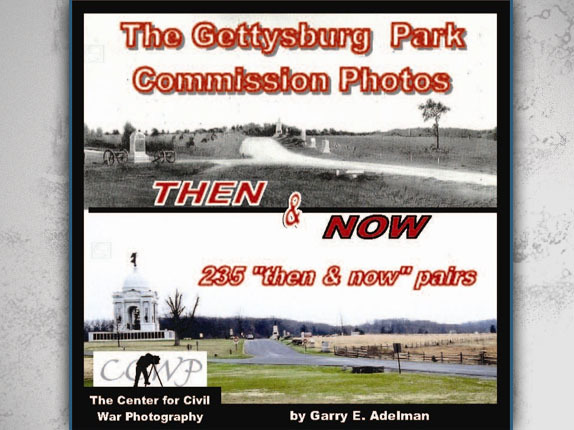 The trio arranged the photos into seventeen sections and present the images in a “then & now” format along with a history of the project and the Park Commission on their CD, The Gettysburg Park Commission Photos: Then & Now. We now continue their series with a sampling from each of the seventeen sections. The Gettysburg National Park Commission (GNPC) issued annual reports from its creation in 1893 until stewardship was transferred to the National Park Service in 1933. The reports, issued each November, covering that year through October, outlined the work of the GNPC for that year. Reports from 1893-1904 were bound into one volume with the photographs that accompanied each report (a practice started with the 1895 report) printed en masse after the text. Together, these images provide a comprehensive view of the battlefield and the Commission’s work available nowhere else. Comparing the images to the same sites today speaks to the important issues of preservation, commercialization, monumentation, and the growth of the GNMP. It’s also simply “cool” to look at then & now photos! In our first post we looked at photgraphs taken on West McPherson’s Ridge. In our second post we showed photographs taken on East McPherson’s Ridge. In today’s post, we show Howard Avenue and monuments for the Army of the Potomac’s Eleventh Corps. 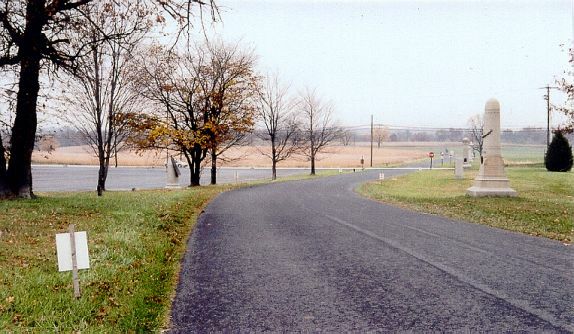 This map, from the Gettysburg Park Commission Photos Then and Now CD, shows us the locations for the Then and Now photographs. We are not showing all of the photographs to you, only a sampling. In our first two posts we showed you photographs from McPherson’s Ridge. In today’s post we show you photographs on Howard Avenue and some of the monuments of the Eleventh Corps. 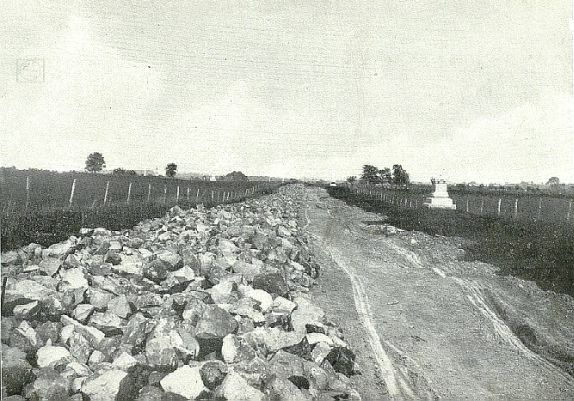 View #1: The photographer is standing on the Mummasburg Road looking northeast along Howard Avenue before it was paved. The monument to the 157th New York is the first one on the right. This view was taken facing northeast in 1904. 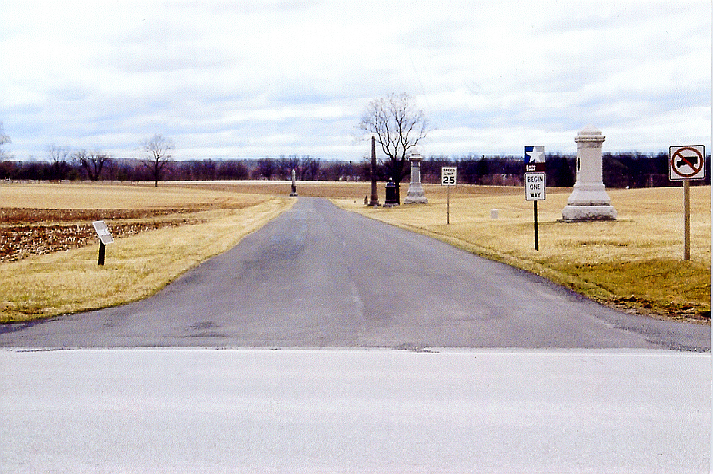 The monument to the 157th New York is now behind the speed limit sign. This modern view of the previous photograph was taken facing northeast in November, 2005. View #3: New fencing on Howard Avenue. 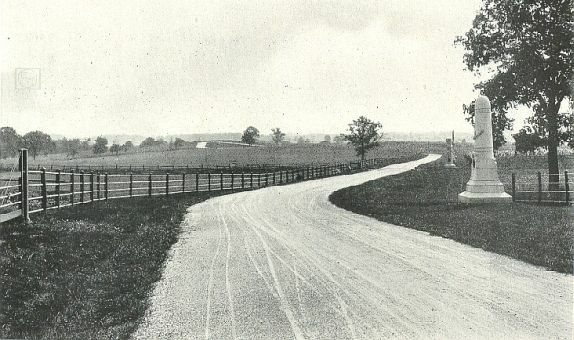 This view was taken facing northeast in 1903. The War Department style of fence has been all but removed from the field. The memorial to the 82nd Illinois is in right foreground. This modern view of the previous photograph was taken facing northeast in November, 2005. 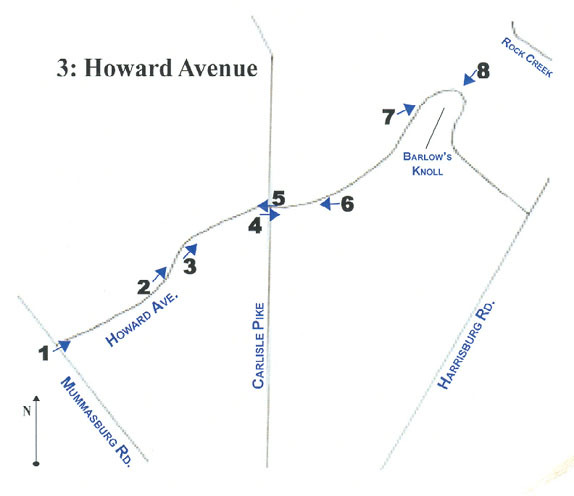 View #4: Howard Avenue, East from the Carlisle Road. 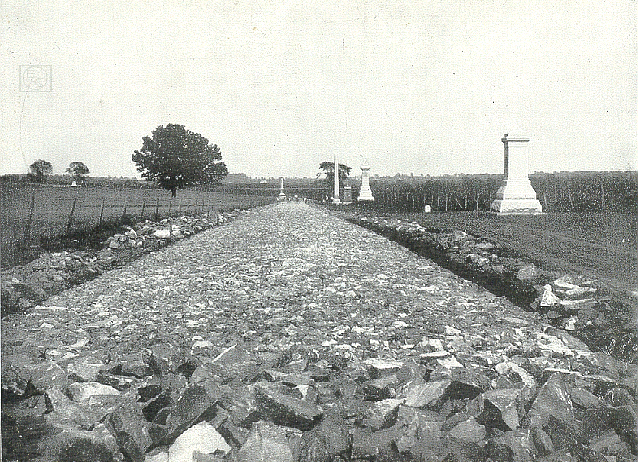 This view was taken facing northeast in 1898. The 119th New York monument is the first one on the right. This modern view of the previous photograph was taken facing northeast in November, 2005. 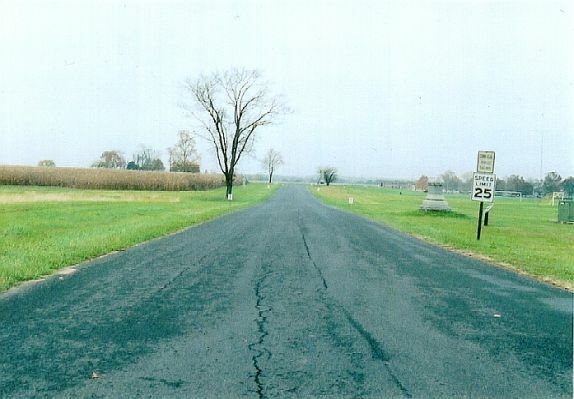 Purchase all the photographs from the Gettysburg National Military Park Commission Reports on this CD.